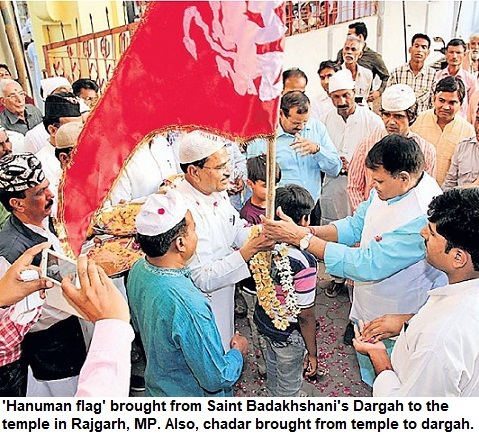 Indscribe's Blog: News and Views about Indian Muslims: Who will rule Uttar Pradesh? Uttar Pradesh, the most populous state in the country, which has a population equal to that of three major European nations--Britain, Germany and France put together, is going to polls soon. UP has lately become a symbol of bad governance, poverty, unemployment and unruliness. But does any of the political outfits (including the national parties) have any concrete plans for Uttar Pradesh? They have all ruled in UP in the last two decades and have to share the blame for ruining the state. None of them have any plans for future either. It was under Congress rule that the famed cities of UP like Allahabad and Lucknow lost their sheen. There was no development and educational institutions had a sharp decline in standards. Unemployment rate soared. Kanpur, once an industrial hub, witnessed a closure of factories. Congress tried to mobilise Hindus in 1986 when it got the locks of the disputed site opened, though it backfired on them. Later under the Janata Dal rule (all anti-Congress forces including BJP and today's Samajwadi Party were together) the communal tension reached its pinnacle. BJP further took the State towards communal polarisation. As if there was no real issue--poverty, employment, corruption, for the 15 crore inhabitants of Uttar Pradesh., people were divided on communal lines. Remember the era when Sadhvi Ritambhara's vulgar tapes were in circulation. I have seen and lived through that era and heard the hate-filled speeches where Uma Bharti termed Muslims as 'Babar ki Aulaad'. The BJP state government functioned as a loony outfit with a single-point agenda: Ayodhya. In the name of Lord Rama and the holy Ayodhya, petty politics was played, passions were inflamed and people were fooled just for votes. The SP-BSP rode to power in 1993 after BJP as Yadav, Dalit and Muslim votes together threw the BJP out. For the last 14 years, Mulayam Singh and Mayawati have been at the helm one after the other. From upper-caste bashing to Ambedkar Park construction and putting statues of little-known Dalit personalities, Mayawati did nothing except the consolidation of her votebank. Her birthdays were celebrated lavishly and the party tickets were auctioned to the highest bidders. The Taj Corridor case brought her notoriety but the BJP was always eager to support her government. During Mulayam Singh Yadav's reign Yadavas flex their muscles like Dalits felt empowered when Mayawati was chief minister of the state. Mulayam is charged with supporting politicians of the likes of Mukhtar Ansari and Raja Bhaiya apart from mafia dons. But all parties in UP are guilty on this count as they have used musclemen to their advantage. It is clear that the national media has no love lost for Mulayam Singh. He doesn't have 'one-liners' like Lalu to charm them and his rural background surely goes against him. To his credit, riots have been few and figure of deaths comparatively quite less than under the Congress and BJP governments. The power situation has improved. Rahul Gandhi's roadshows may bring the crowd but the party organisation is in shambles in the state. Electorate in Uttar Pradesh is not going to vote a party that stands little chance. They will rather vote for a candidate who has a chance of winning. BJP has lost credibility on the Mandir issue. With 89 Brahmin candidates, BSP is quite likely to corner a chunk of Brahmin votes, which will damage the BJP. It is not clear how many Brahmins will vote for Brahmin candidate of BSP as 'Hathi nahin Ganesh hai, Brahma Vishnu Mahesh hai' is not going to erase the memory of 'Tilak Tarazu Talwar, inko maaro jute chaar' so early. Raja Manda VP Singh, Raj Babbar, UDF and the rest who are under the umbrella of Jan Morcha are not going to make any impact. Ajit Singh's Lok Dal has lost credibility and even in Kairana and Baghpat his candidates seem to be in trouble. Just Jat votes and the lure of Harit Pradesh can't win him enough Muslim votes. In a casteist society, caste will dictate the outcome of the elections. As no psephologist or any science can afford to make a true prediction in a state that has over 400 constituencies and where there is a four-cornered contest at most places, at certain constituencies there would be five to six strong candidates. Dalits (22%) and Yadavs (12%) would overwhelmingly vote for the BSP and SP respectively. Musilms (18.6%) would go for SP as statements of Mayawati and her repeated alliances with BJP have not gone down well with them. Still, at places a strong Muslim candidate may fetch some votes. BJP can't hope to gain much. It might lose a bit though. I see SP emerging as the biggest party but short of majority. BSP with BJP support may form a government. And once again the role of speaker will be crucial. Also, who the Governor calls first--the biggest party or the biggest alliance. UP has been blamed in media as a failed state like Bihar. However, I tend to disagree. It has a huge population and yes lack of opportunities exist. But still the predominantly agro-based state hasn't seen any such suicides as seen in Karnataka, Vidarbha (Maharashtra) and Andhra Pradesh. Naxalites are under check unlike BJP ruled Chhattisgarh or Congress ruled Andhra Pradesh. Does a shining Bangalore or Cyberabad can in any way justify the deaths of farmers in the respective states. People of Uttar Pradesh are mature enough. And it is up to them to decide who should rule them. Fortunately the power of vote, which is a great leveller amid astounding levels of disparaties, exists in India and people wait for years to exact their revenge through ballot box. Sitting in a Delhi studio one can't judge what is best for UP when suave politicians who otherwise regale everybody in the talk shows, fail miserably. At least UP is very much in India unlike the 'Maoist Republic of Chhattisgarh'. And after all, the politicians come from amongst us and we deserve the people we elect. Meanwhile, Urdu papers have come out with advertisements in the form of questionnaire that are apparently published at the behest of SP under the garb of an NGO. It seeks answers to questions like, who opened locks of Babri Masjid, Who got the idols established in Babri Masjid, under whose rule the Masjid was demolished etc etc. The ads targeting Behenji are no less amusing.